Jose Arrojo became an Assistant State Attorney in the 11th Judicial Circuit in 1988 and has been a Chief Assistant State Attorney for over a decade. As a direct report to the State Attorney, he focuses primarily on the supervision of Special Prosecutions Units and Felony Trial Courts. He also reviews police use of deadly force and death penalty matters. He has previously served as an Organized Crime and Public Corruption Assistant, as Chief of Narcotics, and as a Division Chief in the Felony Trial Courts. Mr. Arrojo has rotated out of government practice on two occasions during which he represented police, corrections and general employee unions and their members in internal investigations, administrative & labor matters, and in civil rights actions the state and federal courts. Mr. Arrojo has previously served on Florida Bar Grievance Committees and recently completed a term on the Criminal Procedure Rules Committee. 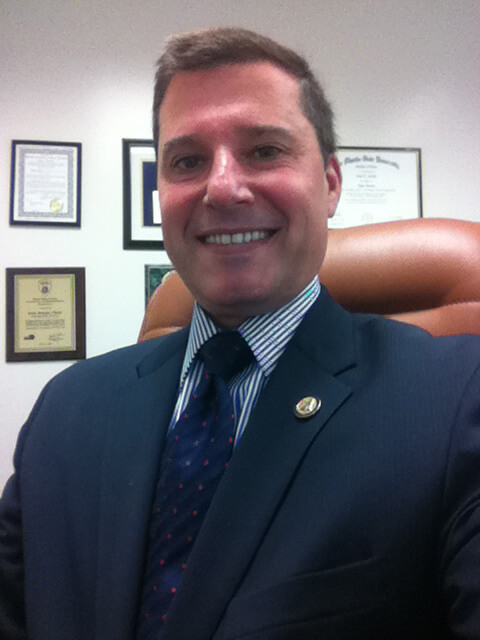 Mr. Arrojo received his Bachelor’s degree from the University of Miami (1985) and his Juris Doctor from The Florida State University (1987). He has held adjunct teaching positions with the University of Miami and Barry University and is an active police trainer for Miami Dade College. He and his wife have two children and his oldest is an Assistant State Attorney in his office’s felony trial division.